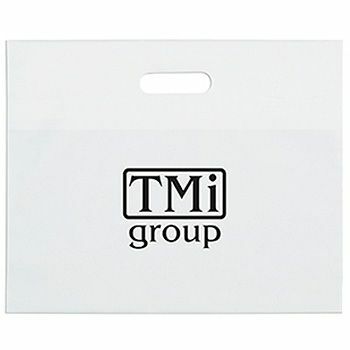 Show off your brand pre-eminence with these resilient Personalized Die Cut Handle Bags that will carefully carry the load of your lightweight items from one place to another. These bags are eco friendly and protect the climate. Personalized Die Cut Handle Bags are available in six different yet temptingly exciting shades and are attached with robust handles for a trouble-free transportation from here to there. Whether it is some light weight items or a tiny gift you bought for a loved one, there is ample room for these items inside the bags that are sturdy enough to survive the crude expectations of your customer. Why should packaging be an excessive part of the shopping when it can be this gorgeous and convenient without costing your customers a fortune? Personalized Die Cut Handle Bags are available in six different shades to add to the artistic attraction.